The potato and onion digger-harvesters GREEN AND SPRING series are the best-selling ones. 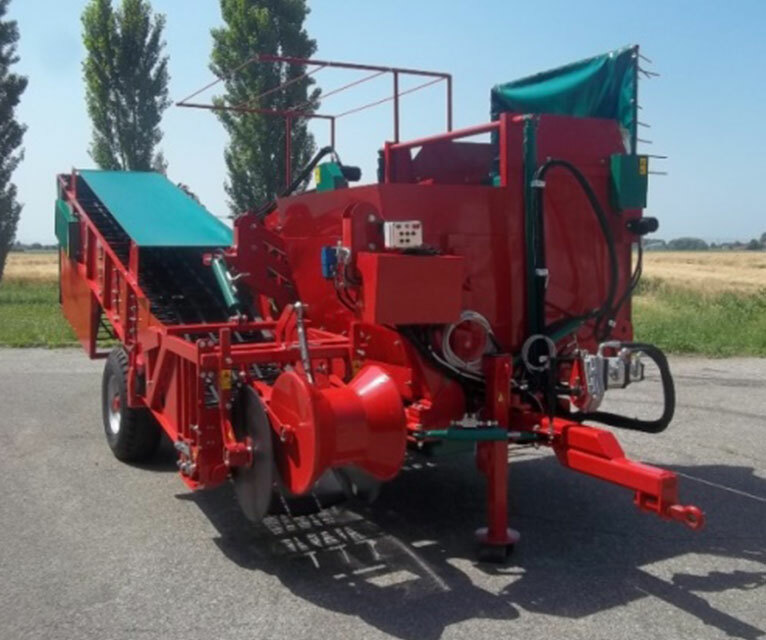 This type of potato digger-harvesters has been updated with the electro-hydraulic transmission; they carry out the digging work at a row and the harvesting (manual for the Green Series) at the same time. In fact, the models proposed by Carlotti G. & C. of Bologna have been designed to eliminate any possible damage to the product during the digging and harvesting phases (Spring and Green also act as harvesters for onions), such as the studied inclination of the collector belts, as well as the ability to adjust the speed of the belts through the control panel. The GREEN SERIES potato digger-harvester is particularly suitable for harvesting delicate products. Its small length, the hydraulic steering and the steering wheels make it perfect for use in fields with reduced operating space. The tubers, instead of being unloaded on the field to be harvested, are deposited in a bin or conveyed to a side elevator, which unloads them onto a trailer that runs alongside the digger-harvester. During the first stage, the digged product is transported on the collector belt and then on the sorting belt where it is manually selected by the operators. The number of staff varies according to the model of the machine. At the end of the operations, the product is unloaded (as needed) into bins, boxes or bags. 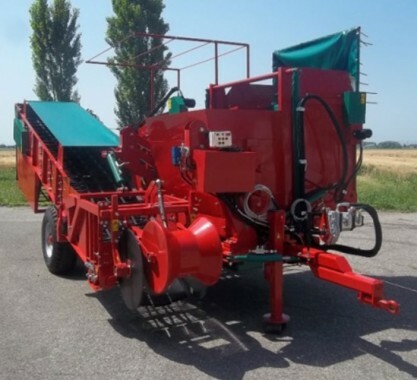 Carlotti G. & C. agricultural machines operate all in the full respect of the product, making it at the end of the harvest, intact, homogeneous and free from damage. In fact, the GREEN 1000 / 6L, GREEN 650 / 5L, SPRING ALX ALX-RH and SPRING 750/35 series allow you to take every care to make a gentle collection.